Elle and her husband believed they had good debt and weren’t too worried about it – until Elle decided it was time to make a change. They have now paid off both their student loans and car loan, and are now working towards paying off their mortgage and reaching financial independence! 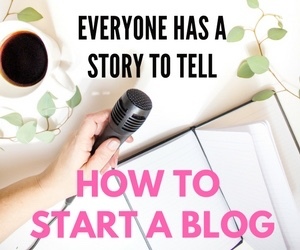 My name is Elle, and I am a fun loving mom, educator, and blogger at Flip the Fail. I have made plenty of mistakes in life and I hope to turn all of those mistakes into “WINS”. You can follow me at Flip the Fail or on Twitter and Instagram @flipthefail. My debt story is a little different. 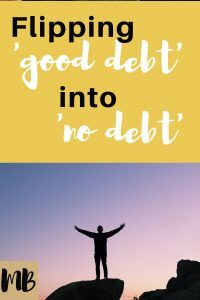 I am in my late 30s and my husband and I had accumulated debt throughout our life. We thought we were being responsible because our debt was the “good” kind of debt. We were like everyone else! So throughout our 15 years together we had accumulated around $15,000 in a car loan, and $10,000 in student debt. We even at one point had financed about $5,000 of debt for furniture for our new house. We had been slowly paying the minimum payments of these debts and adding a little bit of extra every now and then to the payments, but we hadn’t really hunkered down to pay off the total balance. It just kind of kept hanging over our heads. As mentioned before we had the debt because of student loans, for my husband’s BA, and my M.Ed. We don’t regret those loans because it has helped us to make career advancement. Our regret, is not paying them off sooner, and letting them hang over our heads. I regret putting furniture on a credit card. I now know the power of paying for everything with cash and will continue to purchase everything that way. We also had a vehicle that we purchased brand new. We felt we had made a wise investment because the vehicle was a standard model without all the extra luxuries. I wish instead that we had purchased a used vehicle at a lower cost. We now plan to keep this vehicle until it no longer runs to make our loss a little less. About a year ago, I decided that it was time to make a change. I realized that lifestyle creep was a real thing and we were suddenly spending more money than we were bringing in and pretty soon we were going to be in credit card debt for our normal day to day purchases. I had to make changes, and quick, or we would be even farther in debt. First thing I did was tracked all my numbers. I had money coming in and going out in so many directions and I really didn’t understand it all. So, I made sure to figure out exactly where my money was going, where it was being saved, and where it was being spent. This was a huge eye opener, and after we understood all our numbers, I was able to start making changes. We got ourselves on a budget and started making adjustments to our spending. We were eating out way too much and going to the grocery store multiple times a week. I started meal planning and finding ways to cut costs with groceries. We also just started watching how often we went shopping or paying for entertainment such as movies, or activities. We looked at what was important to us as a family and made adjustments. Our plan was to just let it sit and make minimum payments. This plan does not work. 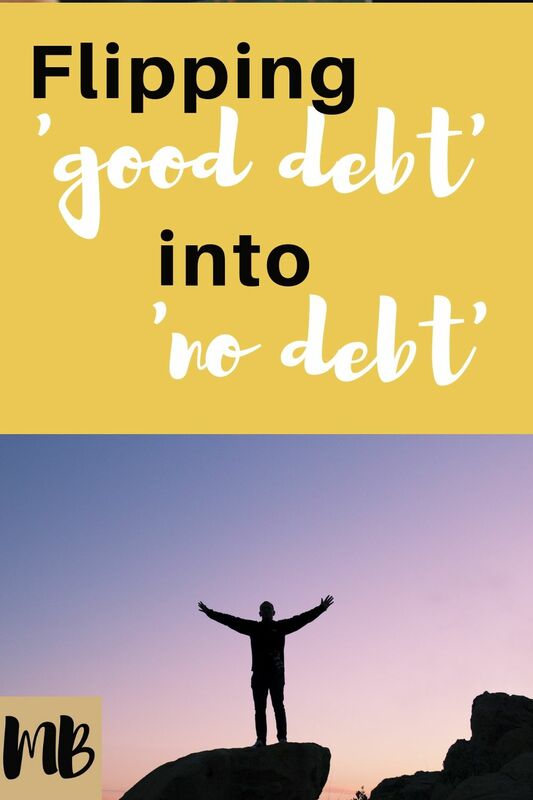 It is a much better idea to just pay off the debt as we are able. 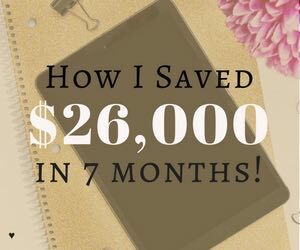 I can’t believe how much more free I feel and how our savings is growing at an even faster rate. My husband and I have always been pretty much on the same page when it came to finances. 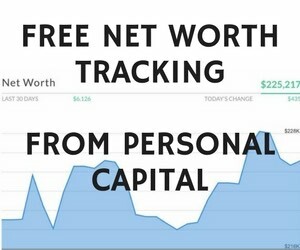 The only part we are struggling on is that Financial Independence can actually be a reality. My husband still doesn’t see the power of compounding interest and doubts that we will be able to live out our dreams without the traditional retirement route. I am set to prove him wrong! It felt wonderful! I now struggle with the weight of our mortgage, and I can’t wait until that moment when we are able to send in our last payment. Oh happy day! Fire Drill Podcast of course! I started listening to podcasts right on the start of my journey to payoff debt. 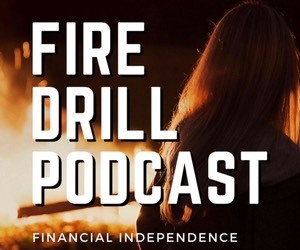 Some of my favorites have been Dave Ramsey (although I don’t listen as much anymore now that I am out of debt), Choose FI and Fire Drill podcast. I wrote a post about the books that have changed my life. Here are the 6 books: Total Money Makeover by Dave Ramsey, Rich Dad Poor Day by Robert Kiyosaki, The Automatic Millionaire by Davide Bach, Your Money or Your Life by Vicki Robin, The Simple Path to Wealth by J.L. Collins, and The Millionaire Next Door by Stanley and Danko. Financial Independence! 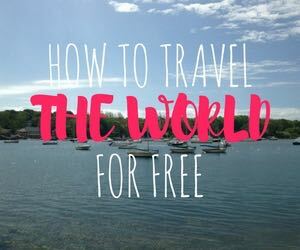 I am hoping to become financially free and leave my day job in the next 8-10 years. Our plan is to then travel the U.S. by RV with a summer home in our state of Minnesota. We hope to make this dream a reality, and maybe even sooner than that! Here is to increasing our savings rate!